Written by Regina Sanders. Media by Joey Clinton. 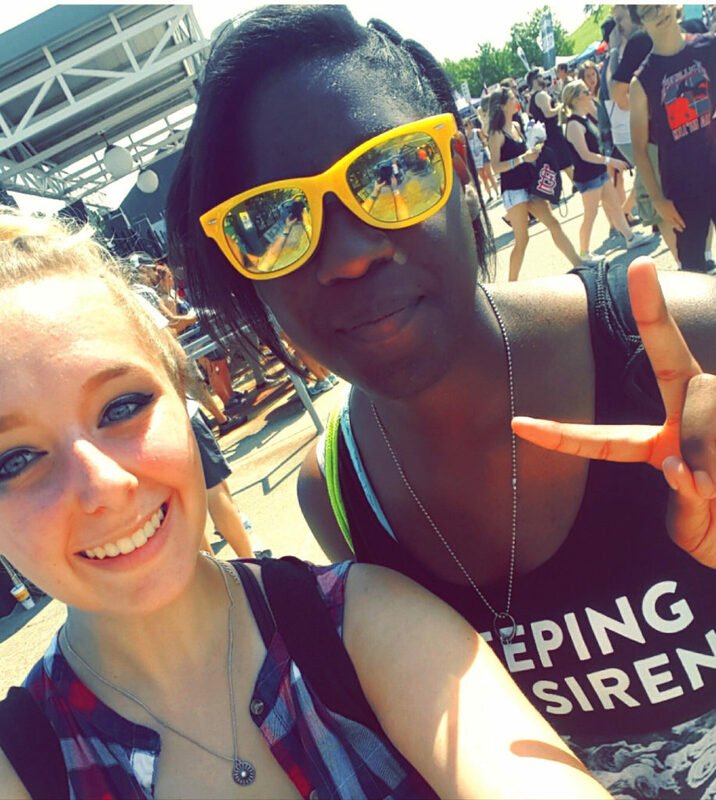 Kendra Delisle and Regina Sanders at Warped Tour 2016. Photo by Kendra Delisle. Summer 2018 will bear witness to the last cross-country Warped Tour. Billed Forever Warped, the rock festival begins March 21 in Chiba, Japan, and will end August 5 in West Palm Beach, Florida. 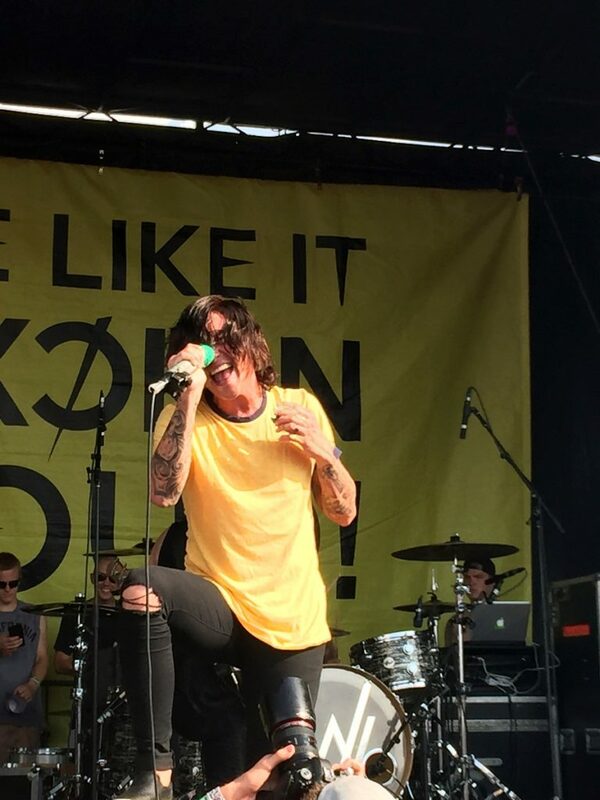 Kellin Quinn performing with Sleeping With Sirens. Photo by Regina Sanders. 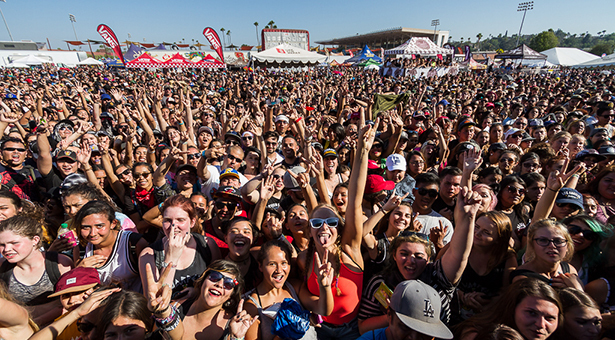 Warped Tour has been a haven for rock, emo, and punk bands, including groups like All Time Low, Sleeping with Sirens, Blink-182, Bowling for Soup, My Chemical Romance, Paramore, and Yellowcard. The festival has also given stages to smaller and local bands, specific to current stops and dates. For twenty-four years, Warped has held the title of the longest-running North American festival tour, and for twenty-four years, thousands of individuals have flocked to hear artists like the ones mentioned above. Kendra and I took in a lot of different shows on that hot July day. After we finished wandering tents, we planned what bands we wanted to see. We ended up seeing Mayday Parade, We the Kings, Yellowcard, and Set it Off’s sets. But we also had specific goals. I desperately wanted to see Sleeping with Sirens, and Kendra had the chance to watch Falling in Reverse. Different stages were erected in various places. For example, we sat under a pavilion to watch and listen to Falling in Reverse and Mayday Parade but we stood, packed against other people, for Sleeping with Sirens. For us, though, it was worth it. Presented as an all-ages show, Warped Tour offers a chance for adults to receive a complimentary ticket partnered with a child’s ticket. With doors opening at 11:00 in the morning and closing at 9:00 in the evening, it’s a day packed full of experiences. With easy access and good music, it’s no wonder why many will miss this rock festival and why everyone, if they’d like, should jump at this opportunity to go. But don’t worry, Lyman announced possible plans for the twenty-fifth year. The Warped name could continue. “We still have a 37-city tour to put out this year, we still have plans for the 25th anniversary, and we just finished a cruise,” he said. By the end of the day, at the end of the festival, Kendra and I were tired. We’d been inches away from moshing. I’d had people crowd surf over me and broken my glasses. We’d witnessed some of our favorite bands play live. We’d shared in a picnic and consumed more snow cones than we probably should have. The sun had beat down on us for the entire day, but we didn’t care. We’d been to Warped Tour. If you ever want such an experience, then I encourage you to attend Vans Warped Tour. There’s nothing like it.